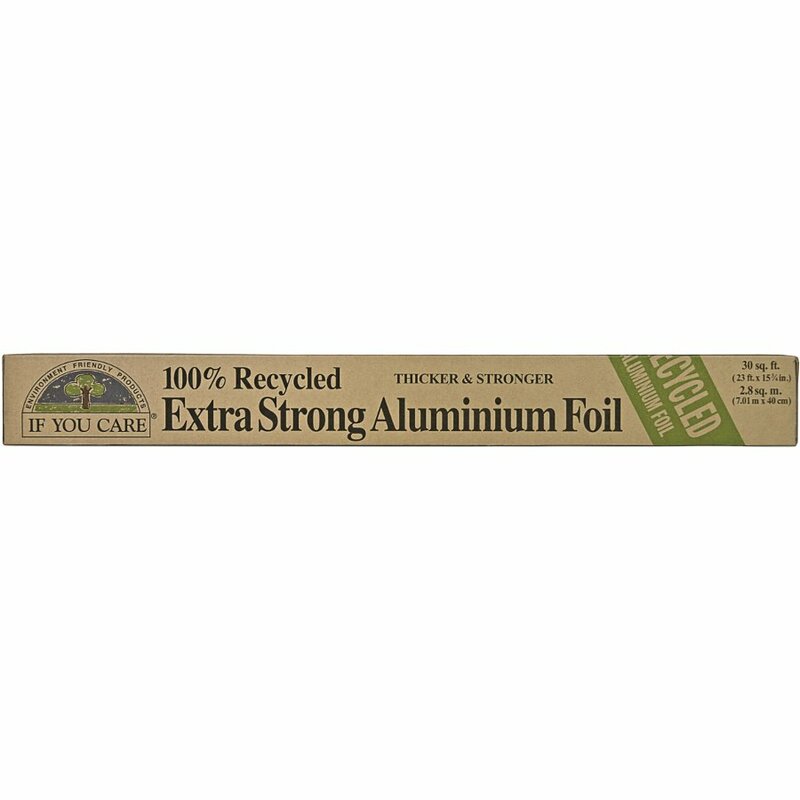 The If You Care Extra Strong Recycled Aluminium Foil - 7m product ethics are indicated below. To learn more about these product ethics and to see related products, follow the links below. Very pleased with this aluminium foil and it is good quality. Wouldn't hesitate to buy it again. Really glad to have an option for recycled tin foil, as new aluminium mining / production is so harsh on people and planet. And this stuff works just as good as the conventional stuff you get at the supermarket. A kitchen staple for me. Q: In the description of this product, it only talks about food wrapping. Can it be used in the oven? If You Care is a household goods producer that uses 100% unbleached or 100% recycled materials in the manufacturing of their products. The products are high in quality and low on environmental impact.